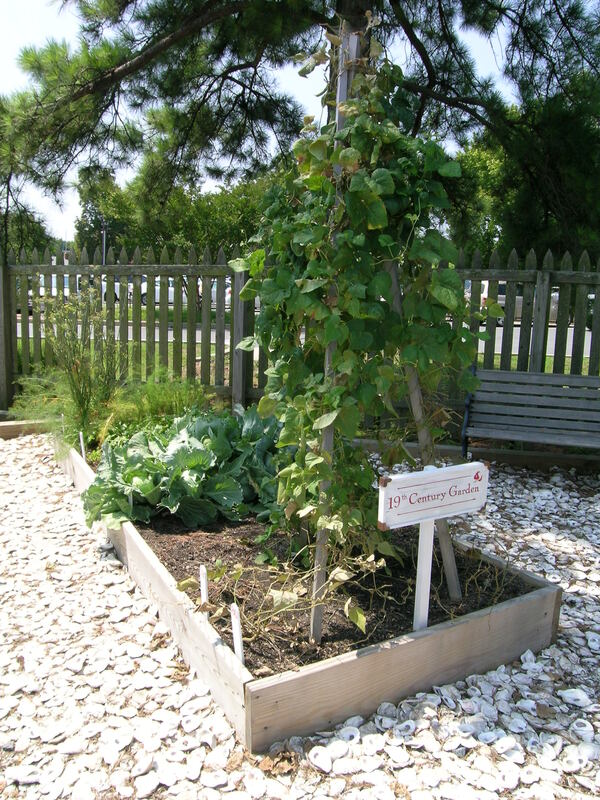 —The 19th century garden at the Chesapeake Bay Maritime Museum—Thanks in part to Landreth, this garden is situated near the cabin of Frederick Douglas’ sister, teaching visitors about African American food and gardenways. In gratitude to the Landreth Seed Company–I am re-publishing their call to action to save the company. When no other seed company thought to include or market an African American heritage seed collection–they did. They have provided seeds for African American heritage gardens around the country! 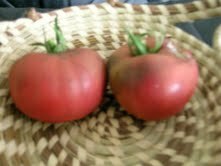 (http://www.landrethseeds.com/catalog/african_american.php) Not only that but they have a stated commitment to preserving out national horticultural and gardening heritage! Please go to their site–the link is above and follows, and make a contribution today. This is too important. Please pass this on until you can’t pass it on anymore! Their deadline is December 15th! Please see them on Facebook as well! Thank you, Michael. The purpose of this report is to try to give each of you an understanding of where we are in this process, but first I must make this statement and if you don’t read any farther, I hope you will remember these words. I will NEVER be able to adequately express my thanks to each of you who has responded to our Facebook campaign with your purchases, your donations and your generous contributions of time to help us get the word out. Please know that each of us associated with Landreth on a daily basis is grateful, inspired, encouraged and humbled that you would make such a tremendous effort to help this little company through the most difficult period in its existence. On August 30, 2011 the Landreth bank accounts were frozen by a court ordered garnishment because the company had failed to pay back some of the debt it owed. The company learned of the garnishment on August 31, 2011. With no access to capital to pay operating expenses because of the garnished accounts, the company could only survive for 30 days. On September 1, 2011, we initiated a Facebook campaign to raise enough money to retire all of our debt and raise capital for operating expenses by selling 1 million catalogs. During the month of September, people from all over America responded to our request to help save Landreth. Orders came in from every state, from people as young as 16 and as old as 97, from every race, color, creed and political denomination. People purchased catalogs, other Landreth products and donated funds. The incredible outpouring of support that has occurred has definitely bought us a little more time – not months, but certainly a few weeks. Landreth has received funds to help pay off the notes that the company owes from three sources: (1) the sale of catalogs, (2) the sale of Landreth products and (3) donations to the www.chipin.com account. As of the morning of 10-17-2011, Landreth has processed 7,645 orders and attended 7 Fall Harvest Festivals, Master Gardeners Conventions, etc. Landreth has sold 11,205 catalogs for $56,025, products totaling $72,876 and has received donations totaling $9,427. The total raised so far is $138,328! When we began this campaign, we hoped to be able to sell 1 million catalogs and to retire all of the company’s debt, but in the amount of time that we have, this may not be possible. To retire only the debt now in litigation, NOT THE ENTIRE DEBT, requires approximately $550,000. To print and ship 225,000 catalogs will cost approximately $562,500. The total is $1,112,500. Selling 225,000 catalogs at $5.00 per catalog would produce $1,125,000. This will allow us to pay off the noteholders who are suing us and will get Landreth out of danger. Our hope is that when each of you receives your catalog you will be motivated to purchase products from Landreth and that revenue will allow us to retire the remaining debt. So how do we sell 225,000 catalogs? The first request would be that each of the 5 people contacted would purchase a catalog. The second request would be that each of the 5 people contacted would then contact 5 people and convince them to purchase a catalog. If we could accomplish these two tasks we would sell 225,000 catalogs. We could call it ‘The Landreth 225 Campaign’, because in 2009 Landreth celebrated its 225th anniversary. We need to sell 1000 catalogs for every year Landreth has been in existence! Yes, it is a crazy idea, but it is achievable with some effort and a whole lot of belief in the power of middle and working class America. Would each of you be willing to try? We will also have to do one other thing. To provide all of you with the convenience of the Paypal button, Paypal is charging Landreth $.45 per transaction. For each $5.00 catalog purchased through Paypal, we are losing $.45. This is a 9% service charge. We are going to have to charge $5.45 for the catalogs purchased through Paypal or we will not be able to raise enough capital. I ask each of you to please be understanding about this. We want to provide you with any convenient way to purchase our catalog, but we cannot afford Paypal’s service fees. Landreth is your company. It is America’s Company. It has been a part of this nation since the nation was born and whether you know it or not it is a part of each of you. The integrity with which this company has operated over the course of 4 different centuries (1700s, 1800s, 1900s, 2000s), the immigrants that it taught how to survive and thrive by living off the land and living with the land, the innovations that it introduced into the American psyche, the seed varieties it has preserved for centuries and the service it has rendered to America and Americans are what we need to cherish, to preserve, to re-introduce into American corporate ethics and to perpetuate. We have 6 weeks to make ‘The Landreth 225 Campaign’ a success – 1000 catalogs for each of Landreth’s 225 years!